rhp’s Brighton studio has been given an award for its recycling achievements. 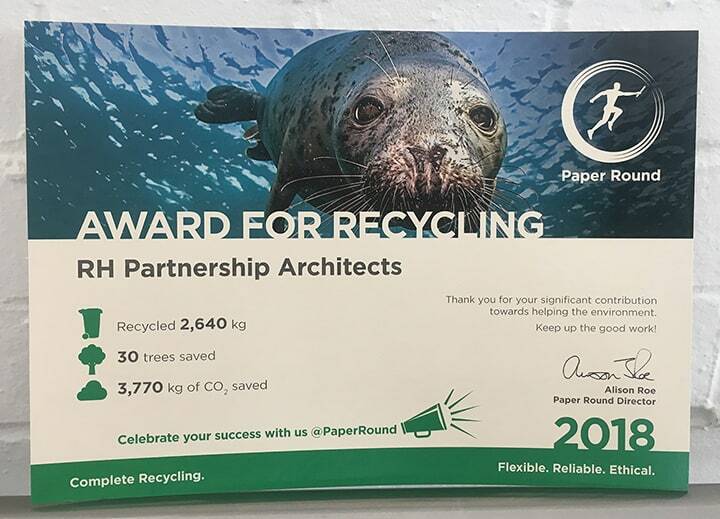 The award, given by business recycling specialists Paper Round in partnership with the Marine Conservation Society, celebrates rhp’s commitment to sustainability and the environment. 2017 saw the studio recycle 2,640kg worth of materials, save 30 trees and 3,770kg of CO2. It’s wonderful that we’ve had our significant contribution recognised, and we look forward to making even more positive changes in 2018.